Now, more than ever, there’s a strong call-to-action to press forward for gender parity. 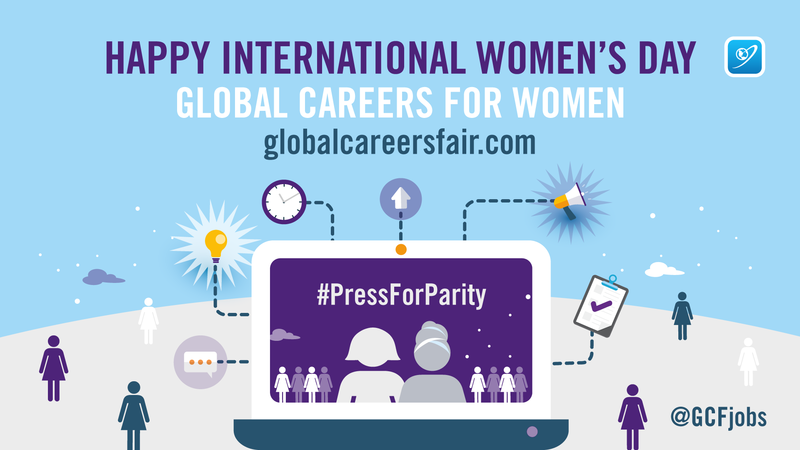 The call to #PressforParity is motivating & uniting friends, colleagues & whole communities to think, act & be gender inclusive. 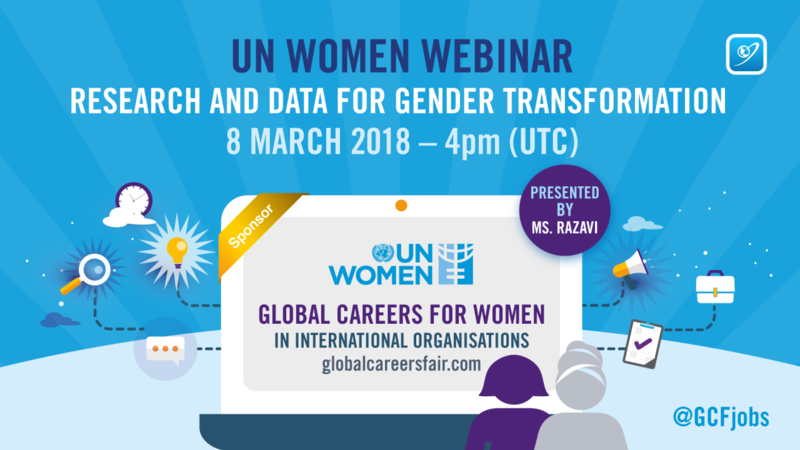 Global Careers for Women is a month long campaign which features exclusive job opportunities, editorial, interviews & webinars from diverse International Organisations. 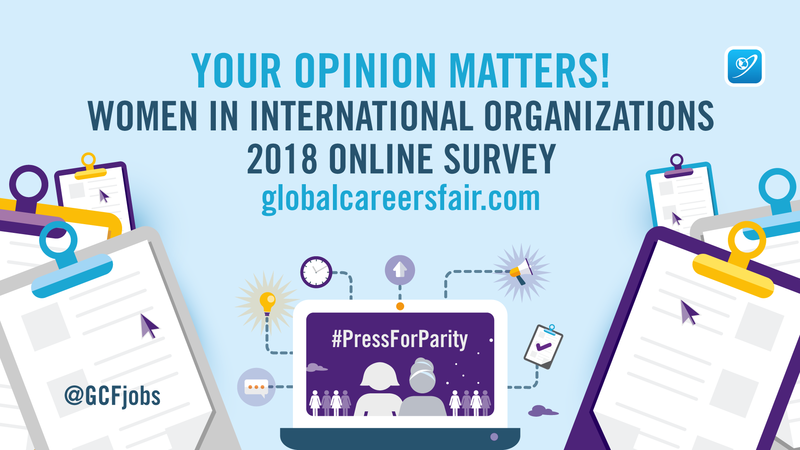 This survey will measure your perspectives as a woman working for an international organisation on matters related to employment and career development. The survey results will be released in March 2018 to coincide the sixty-second session of the Commission on the Status of Women will take place at the United Nations Headquarters in New York from 12 to 23 March 2018. This survey should only take a few minutes to complete. Be assured that all answers you provide will be kept in the strictest confidentiality.